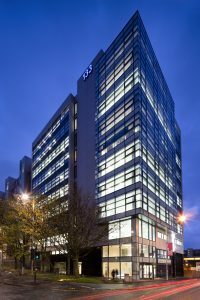 Our Health & Well-Being Week activities included 20 minute daily scenic walks around Glasgow HQ, which is close to the Scottish River Clyde. Bikram Yoga provided morning yoga classes to our offices, and together, the committee built and designed Clintec’s recharge room. There was a well-received “Water Challenge” which encouraged our teams to drink fruit-infused water, as well as dairy and sugar alternatives and an assortment of teas in our kitchens. 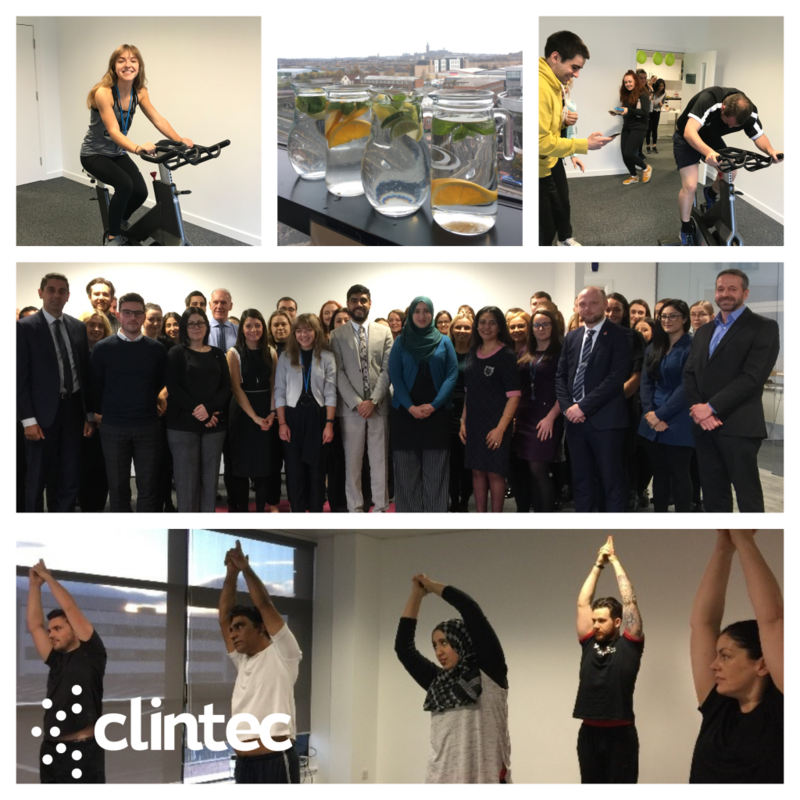 Nuffield health provided Clintec employees full access to their facilities throughout the entire week, conducted Health MOTs and postural assessments in Clintec’s offices, and generously provided Clintec with a pair of Bikes which were used for the Friday Bike Challenge. Congratulations to Clintec’s Head of Medical Affairs, Dr Subash Muniswamaiah who won a free Nando’s for championing the Bike Challenge, courtesy of Chief Financial Officer, Gavin McKenzie, and Business Operations Executive, Erin Houston who also won the Bike Challenge, courtesy of our Head of Administration, Pauline Barclay. The committee unites a diverse group of Clintec employees from Finance, HR, Client Relationships, Business Development, International Payroll, and Marketing. Their collaboration, proactive approaches, and teamwork led to a hugely successful week which was recognised by Clintec management when Clintec CEO Dr Rabinder Buttar personally crowned the committee “Employees of the Month”.